Home | Sidecars | Solo Frames | Metal Fabrication | Yamaha XS650 parts | Contacting us and links. 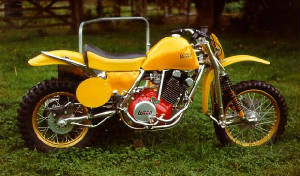 Wasp motorcycles new site Link. 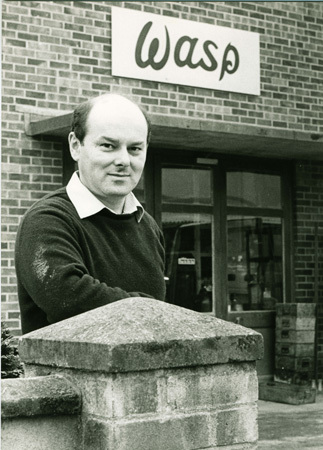 Rob Rhind-Tutt was born in 1941, on the same plot of land that he still occupies today. Having left school in 1956 he was employed by the Ministry of Defence as an engineering apprentice. Rob with his first outfit in 1963. 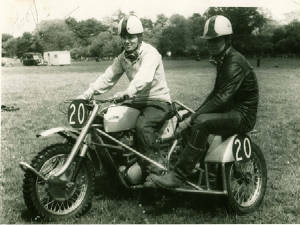 Following the performance of the home built outfit, other riders began to take more and more notice of it. 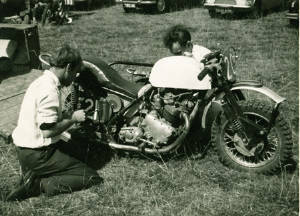 Mike Guilford, who was a world renowned motorcycle rider at the time, showed a great deal of interest in Rob's frame. During his apprenticeship he began successfully competiting in offroad motorcycle competitions using a frame designed and built himself. Rob on his own outfit. As a result of all the interest in the home built frames, Wasp Motorcycles was formed and started building sidecar chassis for motocross and grasstrack together with solo motocross frames to sell on the worldwide market. Today Wasp Motorcycles are still building sidecar and solo motocross rolling chassis to order. To find out what else we build and manufacture, please click on the links at the top of this page.